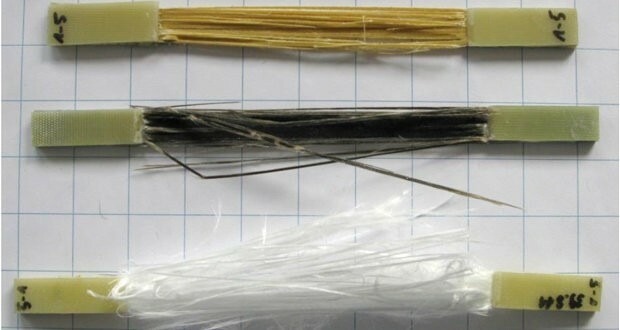 Basalt fibers enjoy the best potential to be turned into a serious contender in fiber composite market due to its good mechanical properties and favorable costs. 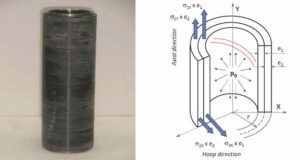 The creep behavior of basalt fiber reinforced epoxy (BFRE) and glass fiber reinforced epoxy (GFRE) composites was studied through tensile testing at a high temperature. 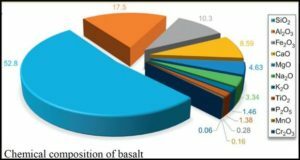 To study the effect of reinforcing epoxy, the micro glass powder (MGP) was added at various volume percentage into the epoxy resin in BFRE composites. The initial strain for all the specimens were evaluated and compared with each other. No creep rupture failures were observed in short- term (less than 10000 seconds) high temperature (T= 150 and 200 °C) tensile creep tests at the loads up to 15% of the ultimate tensile strength of the specimen. 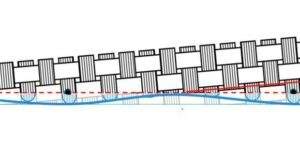 It was also found that the creep resistance of BFRE was higher than that of GFRE and the materials are generally behaved as non-linear for all stresses and temperatures. Adding MGP decreased the initial strain of BFRE, but had no significant effect on the overall life time of BFRE. Reza Eslami Farsani, Faculty of Mechanical Engineering, K. N. Toosi University of Technology, Tehran, Iran. Seyed Mohammad Reza Khalili, Faculty of Mechanical Engineering, K. N. Toosi University of Technology, Tehran, Iran. Vahid Daghighi, South Tehran Branch, Islamic Azad University, Tehran, Iran. Reza Fazaeli,South Tehran Branch, Islamic Azad University, Tehran, Iran.